A trio of local developers announced a deal with Raffles Hotels & Resorts to build a 33-story tower at the site of the former John Hancock Hotel & Conference Center in Back Bay. The Stuart Street property would have 147 hotel rooms and 146 residences. Another luxury hotel company is coming to the Back Bay. Raffles Hotels & Resorts is partnering with developers Jordan Warshaw and Gary and Jeffrey Saunders to put its first North American property in a $375 million tower at the corner of Stuart Street and Trinity Place. The 33-story building will be roughly half hotel, half condominiums, and carry the flag — and the high-end services — of a luxury hotel brand best known for its flagship in Singapore, where the Singapore Sling cocktail was created and butler service is available 24 hours a day. The development team spent years trying to build on the site, and the deal with Raffles will allow construction on the 400-foot tower to begin later this year. 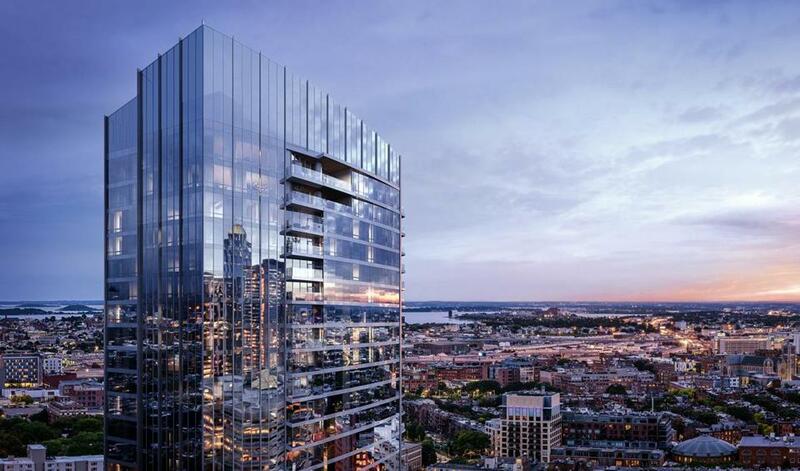 After receiving permits from Boston in 2016, Warshaw said the team received “a lot of interest” from several major hotel groups,” and eventually struck a deal with Raffles in late 2017. One appeal of Raffles, Warshaw said, is that each of its 12 hotels is unique, designed to fit in, and highlight, its host city, whether in Southeast Asia, the Middle East, or Europe. Raffles said Boston, with its “powerful history of cultural significance and landmark events,” makes for a good gateway to North America. The company, which was acquired by Paris-based AccorHotels in 2016, is expanding, with five hotels in the works worldwide, and was looking for the right spot in North America. The tie-in could help Warshaw and Saunders sell their condos, too. Other developers of luxury condo projects have partnered with high-end hotel brands, such as the Mandarin Oriental on Boylston Street and the Four Seasons being built on Dalton Street. In some cases, such as Echelon Seaport’s deal with Taiwan-based Regent Hotel Group, there isn’t even a hotel in the property, just the concierge, spa, and other high-end services associated with one. Warshaw said such pairings are intended to attract urban professionals and affluent suburbanites who want to move downtown, who have powered much of Boston’s high-end condo market in recent years. Pricing for the 146 condos hasn’t yet been set, Warshaw said, and won’t be until they start going on sale after the groundbreaking. He expects the building to be completed in 2021.